Europe is a treasure trove for awe-inspiring landscapes, cosmopolitan cities and cultural encounters. Princess, Royal Caribbean, Norwegian Cruise Line, Disney and Celebrity all have itineraries across the pond. 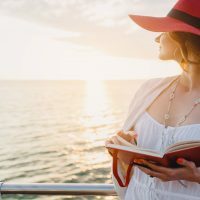 With the European region becoming more popular and affordable, travelers are given more cruise options. Family-friendly ships, both large and small, now sail throughout the area, even in the once-avoided Baltic Sea. Princess, Norwegian and Carnival cruise lines are sending some of their big ships to Europe. Royal Caribbean has increased its kid-friendly programs during the summer months while journeying to this region. Celebrity also runs a voyage that stops at major ports, appealing to first-timers. The summer serves as high season, though cruises are available from May into September. Right now, it’s cheaper to cruise than fly to Europe, as the pound is soaring over the U.S. dollar. Dining and sleeping on the ship saves a lot of money. However, it’s a good idea to check ahead about the type of currency your cruise accepts onboard. Carnival, Royal Caribbean or Norwegian Cruise Line will use U.S. dollars, but others accept the pound or the euro. 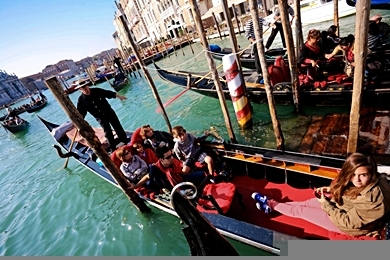 Eastern and Western Mediterranean cruises are vastly popular among families. These voyages cover everything from Lisbon, Portugal to Istanbul, Turkey. Select ships stop in Morocco in Africa on the way out of Portugal. After Cadiz near Seville in Spain, most cruises embark and disembark from the widespread, bustling port of Barcelona, Spain. Families can spend the afternoon wandering Las Ramblas, eating tapas and touring Antoni Gaudi’s artsy, architectural creations. Sailing down the Mediterranean from Spain, passengers will catch a glimpse of the Cote d’Azur (French Riviera). Along the way, ships may stop at Monte Carlo, Monaco; Nice, Cannes or Villefranche, France; depending on the itinerary. Even passing by the coastal towns captures their beauty from afar — the turquoise waters meeting the staggering stone bluffs. St. Paul de Vence is a 16th century village, perched high in the mountains. A first-rate day trip — the village has an old-world ambience and offers gorgeous views of the Mediterranean Sea. On down the sea comes Italy, with common ports in Civitavecchia near Rome and Livorno. Must-see Roman attractions are the Vatican at St. Peter’s Square, St. Peter’s Basilica, the Colosseum and Trevi Fountain. Don’t forget to have some pizza! It’s where the delicious food originated. The Leaning Tower of Pisa and guided tours of Florence are accessible from Livorno. Lucca, also in Florence, is a medieval walled city that was the capital of Tuscany in the Middle Ages — another good attraction for kids who like history. Off the coast of southern Italy, many ships stop at the small island of Malta, too. 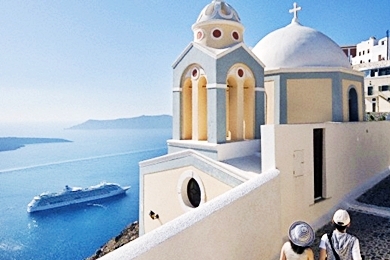 Eastern Mediterranean also offers well-placed ports in awe-inspiring destinations. Ports are in Athens, Katakolon and Olympia, Greece; Istanbul, Turkey; and Venice, Italy. Venice, a destination in itself, is arguably one of the most beautiful European cities. Families can glide down the waterway alleys that connect more than 100 islands. Four hundred bridges are in the city. In graceful palazzos, tourists explore the city, stopping in museums, churches and old castles. La Serenissima is a world of its own — a town that has no cars, not one! Greece is another big draw of the Eastern Mediterranean. Athens, accessed by a port in nearby Piraeus, offers the Parthenon, Agora Market and Oberlaender Museum. While there, it’s imperative that visitors take in the view of Lykavittos Hill — a famous view of the city from above. Great beaches, coupled with interesting history can be found on the Greek Isles. Greek ports are in Santorini, Rhodes, Samos, Patmos and Mykonos. Cruises that stop at Mykonos almost always visit the nearby the island of Delos, which is a key historic destination. The British Isles consist of England, Scotland, Ireland and Wales. England’s Dover and Southampton are two of the largest ports in Europe for embarkation and departure. In Ireland, families can travel the path of history when docking in Cobh, Cork — the last port of call for the famous Titanic. The Titanic Trail Cobh is a guided walking tour that explores the town. Edinburgh offers many fun attractions for families, including Happy Castle Play Centre, Dalkeith Adventure Park and Five Sisters Zoo. Dublin also hosts an array of family-friendly activities, such as visiting the National Wax Museum, the Viking Adventure Walk and the Dublin Zoo. Of course, London is one of the most popular destinations in the British Isles. In the sprawling city, families can visit Kensington Park and view Princess Diana memorials, stuck in the gates of Kensington Palace. The London Zoo is in the heart of Regent’s Park near kid-friendly museums like Madame Tussauds and the Sherlock Holmes Museum. Recognized for its world-class theater productions, London also offers children’s plays at the Unicorn Theater, Half Moon Theater and Little Angel Puppet Theater. View the city from above on the London Eye Ferris wheel and ride the famous double-decker buses. Kids will feel as if they’ve stepped into a Harry Potter movie. Parents can also sample a variety of high-quality teas. Western Europe offers many popular ports of call in France, Belgium and the Netherlands. Le Havre, France, is the Normandy-based port closest to Paris. Zeebrugge, Belgium, is an hour and a half away from Bruges, Belgium, which offers a taste of cultural and culinary delights. Locals meander along the winding canals, ducking into cafes to munch on moules frites (mussels and fries). Make sure your family tries the famed Belgian waffles. Paris is home to a number of sidewalk cafes, shops, parks and museums. The Louvre houses the original Mona Lisa, among other works of art. Charming fishing villages round out the cruise experience, bringing passengers face-to-face with locals from Honfleur and Guernsey’s St. Peter Port, both in France. A more recent trend, cruises in Northern Europe have opened passenger’s eyes to beautiful fjords and artsy cities. Standard Baltic ports are in Oslo, Norway; Copenhagen, Denmark; Stockholm, Sweden; Helsinki, Finland; and St. Petersburg, Russia — also some of the top cruise ports in Europe. Stockholm, Copenhagen, and sometimes Amsterdam, Netherlands, are popular debarkation ports. Excursions are offered to Norway’s fjords, the Arctic, Greenland and Iceland. Common homeports in these parts are Norway’s Bergen and Iceland’s Reykjavik. To make tours more fun, cruises offer adventurous city exploration by bike, kayak, rollerblades and even hot air balloon. 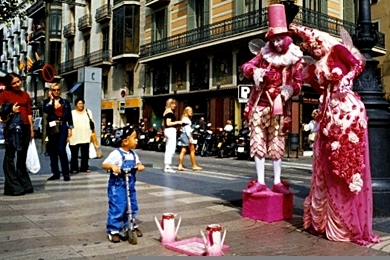 These regularly attract families, warding off boredom by spicing up routine sightseeing. St. Petersburg, Russia’s only Baltic port, is by far the most popular destination in the region. Cruise lines offer at least two full days in the port of call, allowing passengers to get their fill of the beautiful city. The second largest museum in the world, Hermitage Museum displays three million pieces of art in opulent rooms that were once inhabited by royalty. The city has many castles to tour, a dream for architecture-admiring families, and musical concerts in the evenings. Deemed the “Venice of the North,” Stockholm, Sweden, is made up of 14 islands connected by bridges. The city offers sky-high, rooftop tours where visitors donning safety harnesses walk on top of buildings. 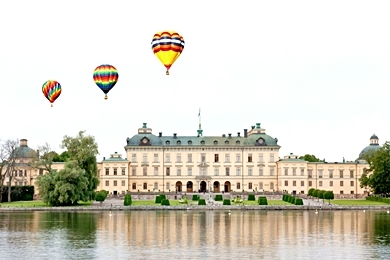 Stockholm is also one of the few cities that allow hot air balloons over the city center. The sweeping views are addicting, and kids will enjoy helping fill and dismantle balloons pre- and post-flight. Copenhagen, Denmark, hosts the Tivoli Gardens, spread over 20 acres of flowers and foliage. The city carries the same charming vibe with picture-perfect Christiansborg Palace and Roseborg Castle. Oslo, Norway, is well-known for the fjords that surround the city. The city itself has a lively waterfront area with museums and cafes. Families can visit the Nobel Prize Peace Center, the Munch Museum and Vigeland Sculpture Park. Want more information on Europe? Check out our Europe destination page. 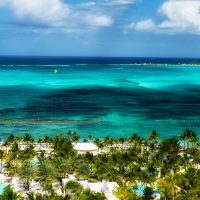 Planning a cruise for your family? Read our Family Cruises article. For more information on European cruises, visit our sister site Cruise Critic.